Fort Collins dog parks… we can walk your dog there or anywhere in Fort Collins. At Hustlin’ Hounds we are well aware how tiresome walking your dog can be. I am always busy and my schedule doesn’t allow for such leisure are common excuses given. 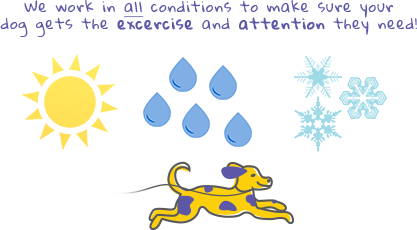 Keeping your pet active is important in reducing stress and maintaining its overall health. Our dog walking service are professional and convenient, we will take your pet for a walk anywhere in the Fort Collins area. Our walking services include visits to dog parks and trails in the Fort Collins to help dogs socialize and stay friendly. These beautiful parks located in Fort Collins have ample space and are surrounded by fence to keep your pet secure. Your pet will have professional and affordable supervision while they play and exercise at these high-quality dog parks. Our services are superb for owners who are unable to meet constant demands for their valuable pets. We also dispense medication if required for your dog, once you have provided detailed instructions. If you’re in the Fort Collins area and in need of dog walking services feel free to contact us at Hustlin’ Hounds, where you will be sure that your pet won’t feel lonely and have professional, reliable and affordable care in your absence.